Ken Richters as Mark Twain was first brought to national acclaim in 1981. Following a sold-out engagement in Washington, D.C., television newscasters from across the country had great fun covering Twain's salty comments to members of the United States Congress. Since that time, the production has been performed more than 1500 times in all 50 states, Canada, and throughout Europe. Ken Richters first began performing in the early 1970's as a singer and featured dancer with a number of regional theaters throughout New England. Since that time, he has displayed a unique blending of talents rarely seen in a single performer. A familiar face to television audiences around the country, he has been seen in a number of weekly series and made-for-television movies. His motion picture work includes a starring role in the award-winning independent film Jean, which was produced by the American Writer's Theater Foundation and Tom Fontana and filmed entirely on location at the Eugene O'Neill Center. The millennium found Ken Richters as Mark Twain sharing the stage with another great American author, Tom Wolfe, as part of Harper's Magazine star-studded 150th Anniversary Gala celebration in New York. Following that performance, PBS had him provide the voice of Mark Twain for their controversial series Culture Shock - Challenging Art. Between television and motion picture engagements, he has performed extensively in the legit end of show business, starring in such live stage productions Big River, Oklahoma, They're Playing Our Song, Promises Promises, Company, Man of La Mancha, George M, and The Man Who Came To Dinner. He recently made his "operatic" debut receiving rave reviews in the featured role of "Frosch the Jailer" in Connecticut Opera's production of Die Fledermaus. Well known for his considerable vocal range, he has become a favorite in the field of commercial and industrial performing. 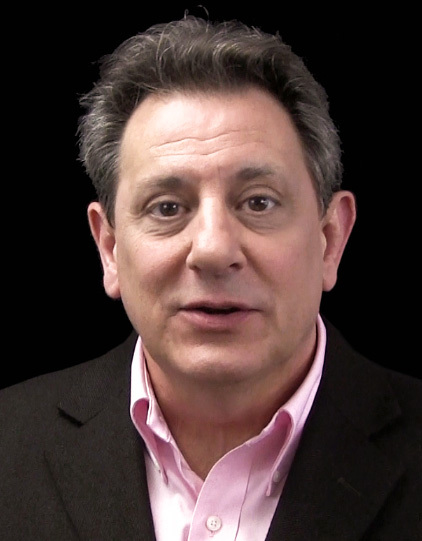 He has been the on-camera and live industrial spokesman for more than 50 large U.S. and European corporations, including the International Paper, IBM, Lloyds of London, and Sony. Television and radio commercial credits include Coca-Cola, Sears, Eggo Waffles, Kimberly Clark, AT&T, and Federal Express, and was the national commercial voice for A.J. Wright Stores - a division of the TJX Corporation for six years. He is also the featured narrator on more than 50 educational CD-ROMs for McGraw-Hill. Visitors to the Smithsonian in Washington, D.C. can hear Ken's work with Walter Cronkite narrating the history of Fast Attack Submarines. In addition, Ken spends time each year working on a number of special projects. He has been the opening act for many show-business veterans including The Temptations, Vikki Carr, Robert Flack, the Smothers Brothers, and the late Laura Branigan and Henny Youngman; co-starred with Academy Award actress Nina Foch in her life's retrospective, An Evening with Nina Foch; and performed with Olympic Gold Medalist Oksana Baiul. He often works behind-the-scenes doing private coaching and consultation with corporate executives, politicians, and bestselling authors, to assist them in preparing for public appearances. A collection of Ken's quotable quotes from various media interviews from around the country. 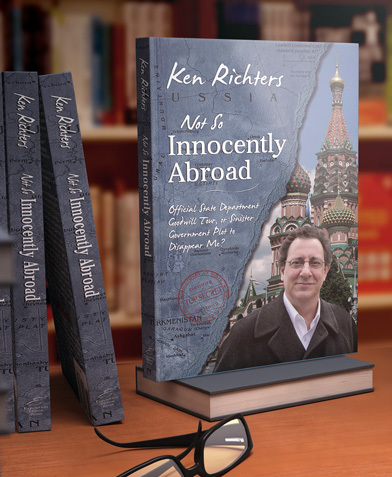 From Ken Richters comes this original, irreverent, and funny travel memoir of his month-long U.S. Department of State goodwill tour of Russia and Ukraine. Before Russian President Vladimir Putin’s 2014 takeover of Ukraine’s Crimea region, and after spending more than 30 years performing as Mark Twain (satirizing every government official and politician within earshot), the actor received a series of furtive phone calls from Hillary Clinton's State Department asking him to leave the United States for the former Soviet Union.